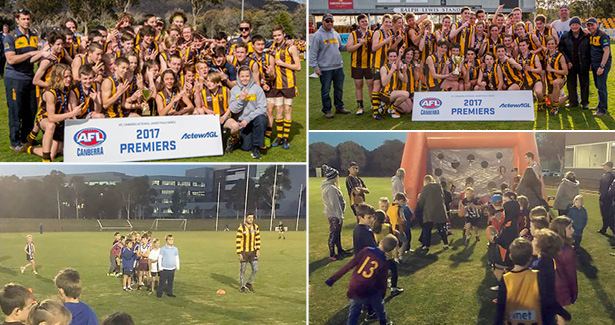 Canberra Southern Cross Club members have helped the Tuggeranong Hawks Football Club Under 17 and Under 15 teams win more than just a premiership this year. The $7,729 that members donated through the Community Rewards Program last financial year enabled the Hawks to run gala clinics for junior players – from the Hawks as well as from the Tuggeranong Lions, Tuggeranong Bulldogs and Calwell Swans. Hawks president Annette Ellis said it was expensive to run a football club and it couldn’t be done without the support of the Southern Cross Club. 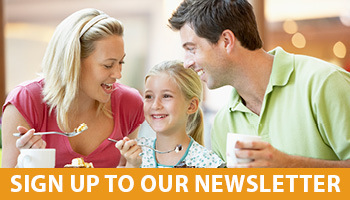 “The Community Rewards Program means we can invest in those junior clubs,” she said. If you’d like to support the Hawks, visit the Community Rewards Program or advise Reception next time you visit your local Canberra Southern Cross Club venue.